Named after the ancient goddess of fruit, Pomona has six luscious fruit motif's, taken from hand-colored book's of the 1830's. This pattern was created in 1982 and has a full range of tableware, serveware, cookware and home decor items. This colorful range is an explosion of fresh summer and autumn fruit. Assorted motifs. Inspired by the traditional Cane Mixing Bowl the Original Cane Collection from Mason Cash is the perfect addition to any modern or traditional kitchen These durable and cheerfully colored bowls were designed to fulfill your prepping and storing needs. 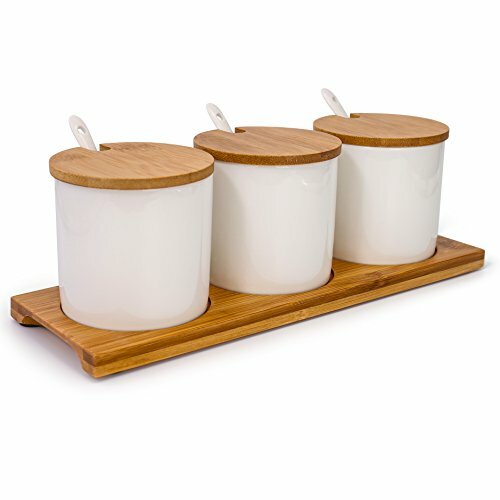 They are ideal size and shape for serving your favorite foods, from breakfast oats, freshly cut fruit or for steaming puddings. 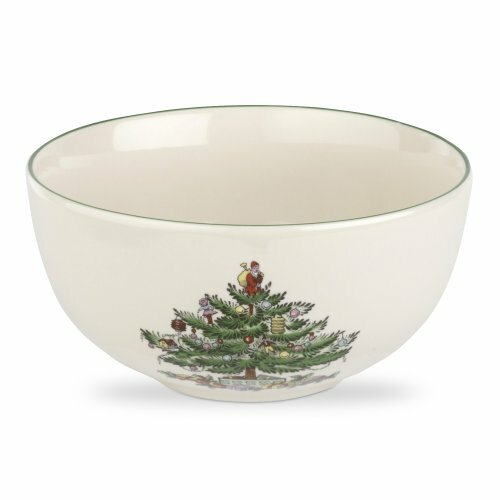 Made from fine quality chip-resistant earthenware, featuring a shallow base, an embossed exterior for a firm grip while mixing and high gloss glaze finish. Crafted for everyday use, these bowls are available in a wide range of eye-popping bright, or pastel shades, perfect to mix and match colors to complement any style of kitchen. 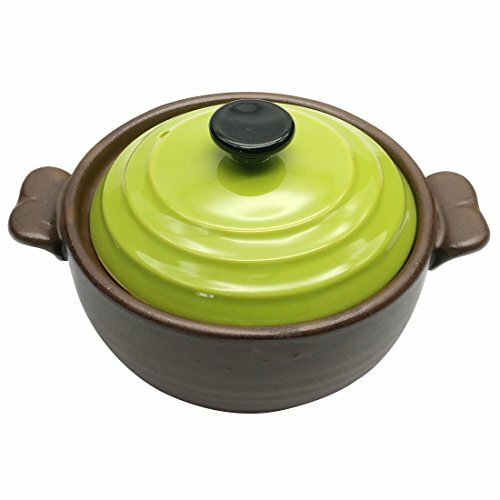 These dishwasher and microwave safe bowls measure 11-1/2-inches in diameter by 5-1/2-inches high with a capacity of 4-1/4-quarts; size #12. Mason Cash is fundamentally rooted in its English heritage, over the centuries, they have developed a deep understanding of the requirements, expectations and overall design that home cooks and bakers seek in a quality product. Producing innovative, functional, effective kitchenware and utilizing the finest quality materials possible to produce the very best products for which they have become known for. This beautifully crafted bowl has a slight grooved texture so that you can literally feel the waves. 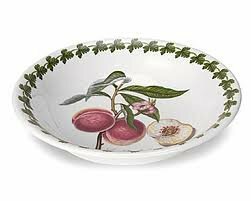 Perfect as a serving bowl, to hold your fruit or to just display. Made in Japan. Dishwasher/Microwave Safe. 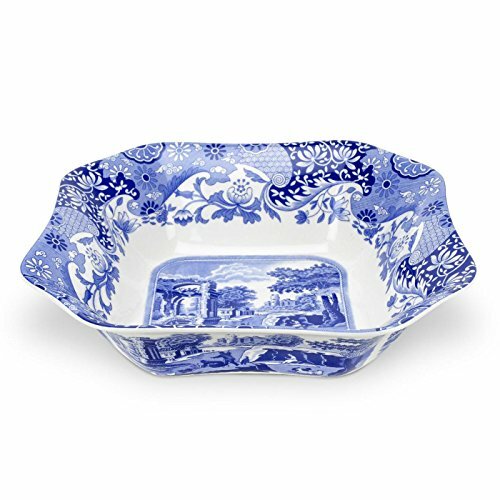 Exuding the legendary tale of blue willow, this ornate serving bowl is adapted from original copper engravings. 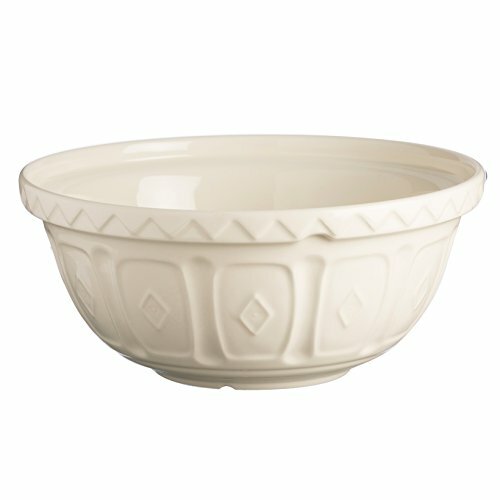 Full of timeless charm and fine craftsmanship, it's perfectly sized for large salads. Coastal charm isn’t limited to simply beach houses and regional dwellings anymore, but is a tranquil trend that brings seaside inspiration to any home. The Cape Coral collection from Fitz and Floyd combines nautical motifs with soothing colors that evoke a more sophisticated shore. 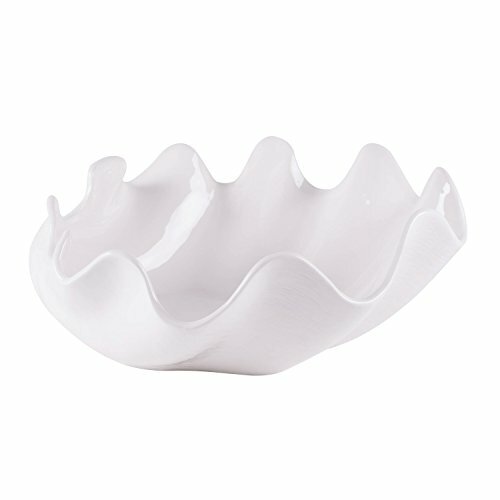 This sculpted shell serveware is a beautiful addition to any home collection. 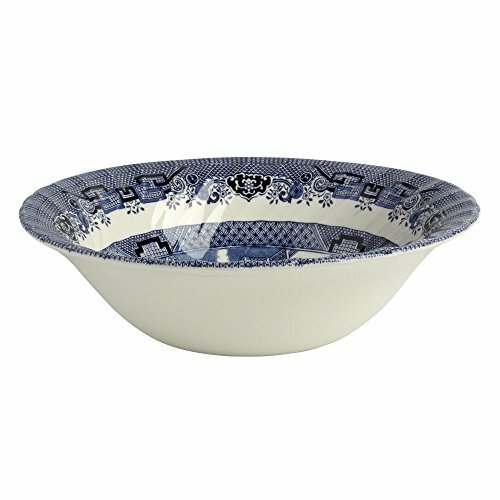 Ideal to display food or simply as an ocean-inspired centerpiece, this handcrafted serving bowl is a beautiful accent for your home. Bowl measures 13” long and 13” wide, is 5” tall and holds 90z. Throwing / Making some simple Pottery serving Bowls on the Wheel.